Execution Schedules are the instructions that tell the DRP Execution Engine when, where and how to execute. Each DRP plan has an Execution Schedule, a list of Locations for which to execute the plan, and an execution method that describes the workflow process(es) to initiate. 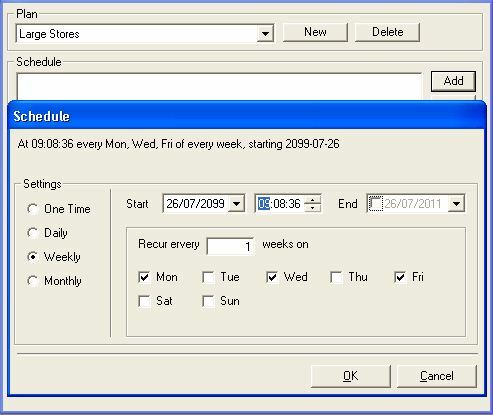 Execution schedules are fully configurable. 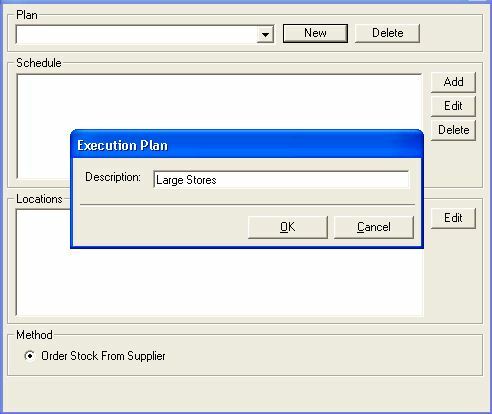 To create an Execution Schedule access Execution Plans in the DRP suite in the Stock menu. Select New and enter the name of your plan, again, make this relevant to aid the management of your plans. Existing plans can be edited or deleted by selecting them from the drop down. To create the schedule click the add button. Schedules can be configured individually, daily, weekly or monthly. Select the setting you wish to configure, set the start date and the time the schedule will run. You can also select an end date however this is optional. Configure the schedule settings to suit your business needs and click ok.
You can add, delete or edit multiple schedules for any plan. For example you may run the plan below for your large stores throughout the year but wish to add an additional schedules to include extra replenishment during January only. 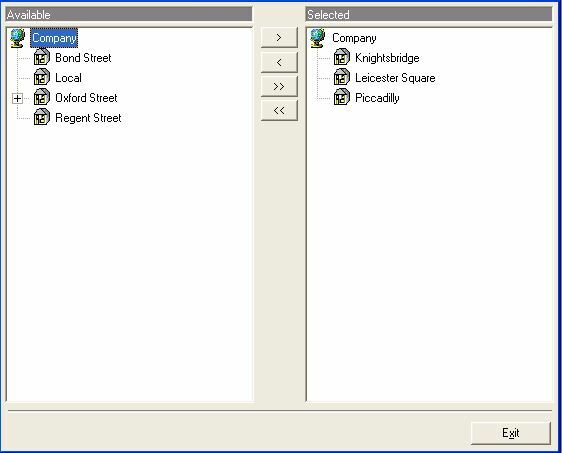 To add locations to your plan click the edit button by the Locations box, a new window will open. Highlight the available locations and move them to the Selected box using the > >> buttons. Click Exit, your Execution Plan is now complete.